« The Monsoon Ghost Image is 99cents! The third updated edition of Moon Angkor Wat, my English language guide to the Angkor temples in Cambodia is out now, both in print and ebook format. 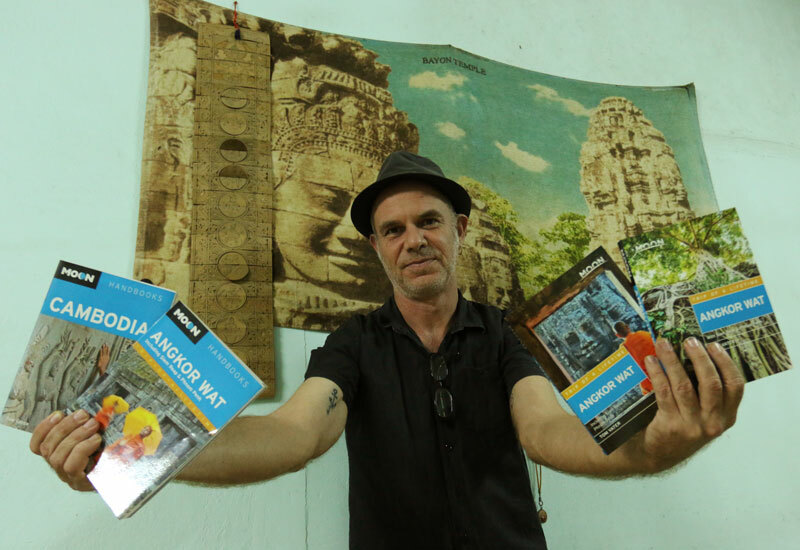 I’m the kind of person who reads guidebooks to remember where I’ve been as well as to plan my next destination and in Tom Vater’s latest guide to Angkor Wat, I was given the opportunity to do both. From its extraordinary photographs, many of them taken by the author, and its wealth of clear and comprehensive maps, to its generosity in giving more than readers would expect from its title, this isn’t just a good guidebook. It’s an essential handbook to a generous portion of Cambodia, one that’s so well written that it can be enjoyed by armchair travelers as much as it will be used by those lucky devils with Cambodian visas stamped in their passports. The Angkor Archeological Park is one of the most overwhelming places in the world, with beauty and mystery that can hit travelers like a tsunami and cause them to miss so much in order to see it all. Vater knows the temples well, not just the show-stoppers like the Bayon and Angkor Wat, but ones that are farther afield and easy to overlook. His detailed descriptions and careful directions ensure that his readers will see as much as they have time for, while visiting with an informed understanding of what they’re looking at. But this book is a guide to more than the temples. Travelers staying in the nearby city of Siem Reap are given not only the basic recommendations for hotels and restaurants, but ones for bookstores and the city’s best swimming pools, for photography tours and the Cambodian version of Cirque du Soleil, the Phare Circus. Vater is frank about which museums are overpriced and which are worth seeing and why his readers can pass up Phnom Kulen. A standout for me in this portion of the book is Battambang, a river city that’s less than three hours from Siem Reap where French colonial architecture coexists with Khmer modernism from the 1960s, where the art scene that was destroyed by the Pol Pot years is being revived, where Angkorean temples are woven into the fabric of daily life, and the original Phare Circus provides education and training to young Cambodians who might not otherwise receive it. With its good coffee, reasonable hotels, and a bookstore too, Battambang may turn out to be my next home in the world. Thank you, Tom Vater and Moon Handbooks!